Did you know that giving to St. Columbkille can reduce your income taxes? And that some gifts save more tax than others? Please consider the following as you plan your giving to St. Columbkille this year – and, of course, be sure to discuss it with your financial advisor. If you would like the parish to arrange for a complimentary meeting with a local financial advisor to discuss options, please let us know. If you have questions on anything you read below, please contact Sergio at the Parish Office, or stop by! Our most popular donation method! Checks can be made payable to St. Columbkille Catholic Church and returned in the weekend collection or mailed to the parish office. Checking/Savings Account or Credit/Debit Card. A growing number of people no longer write checks for recurring bills and charitable donations. 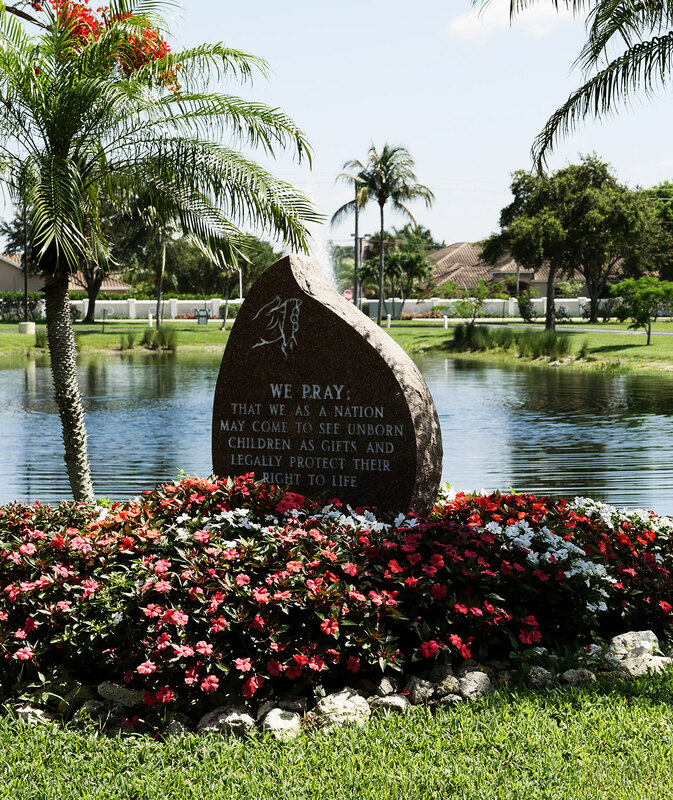 Many St. Columbkille parishioners have scheduled automatic weekly, monthly, quarterly, semi-annual or annual donations from their checking, savings, credit or debit card, rather than write a check each week. Do you have an Individual Retirement Account (IRA)? If you only take IRA withdrawals because it’s required by law, you may want to consider donating the amount withdrawn, or a portion of it, to St. Columbkille. 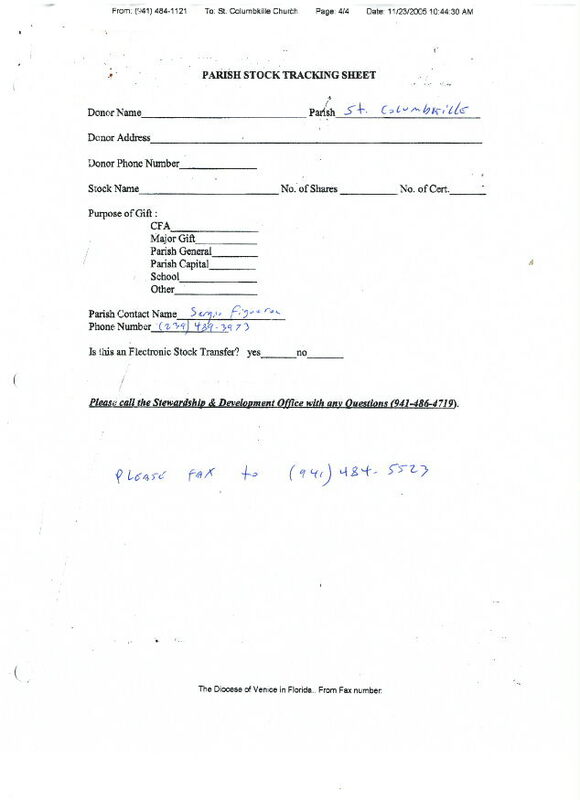 Please email Sergio Figueroa or call 239-489-3973 if you have questions or would like IRA transfer instructions. Interested individuals can make a deferred gift of their home/property to St. Columbkille Parish. This gift option allows donors to stay in their homes for the rest of their lives and receive significant income tax deductions that can be used for up to 6 years. You may also contribute immediate gifts of property or land and avoid capital gains tax, and receive favorable tax deductions. Did you know you can transfer almost any financial account – savings, checking, CD, brokerage or credit union accounts – to St. Columbkille Parish without changing your will? You can also gift any fully paid life insurance policy directly to our parish and receive a tax deduction, or name St. Columbkille as the death beneficiary, but keep the lifetime ownership rights. Those wishing to leave a legacy to St. Columbkille in their will or trust are growing in number, and we are very grateful. If you have questions about leaving the parish in your will or trust, or would like more information, please let us know. If you have a Will or Trust, or have plans to create one, we hope you might consider including a gift to Saint Columbkille. You can be a part of ensuring that future generations will continue to benefit from the Mission and Works of Saint Columbkille Parish! If you have already named Saint Columbkille as a beneficiary in your will or trust – we sincerely THANK YOU! If you have questions, or would like to speak with someone about establishing a gift to St. Columbkille in your will or trust , please let us know. 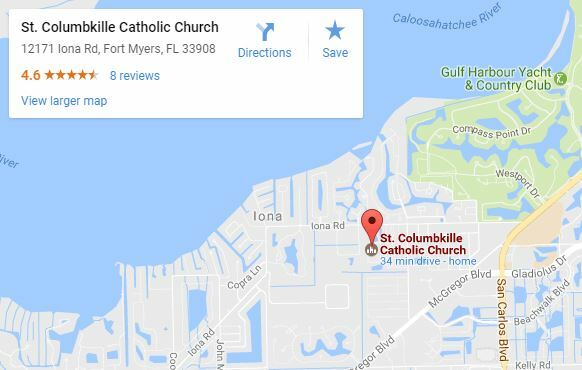 Help us to ensure that future generations will continue to be served, nurtured & inspired by the Mission & Works of Saint Columbkille Parish in Fort Myers. Learn the many ways in which our Diocese of Venice transforms the generosity of its members into real-world change.